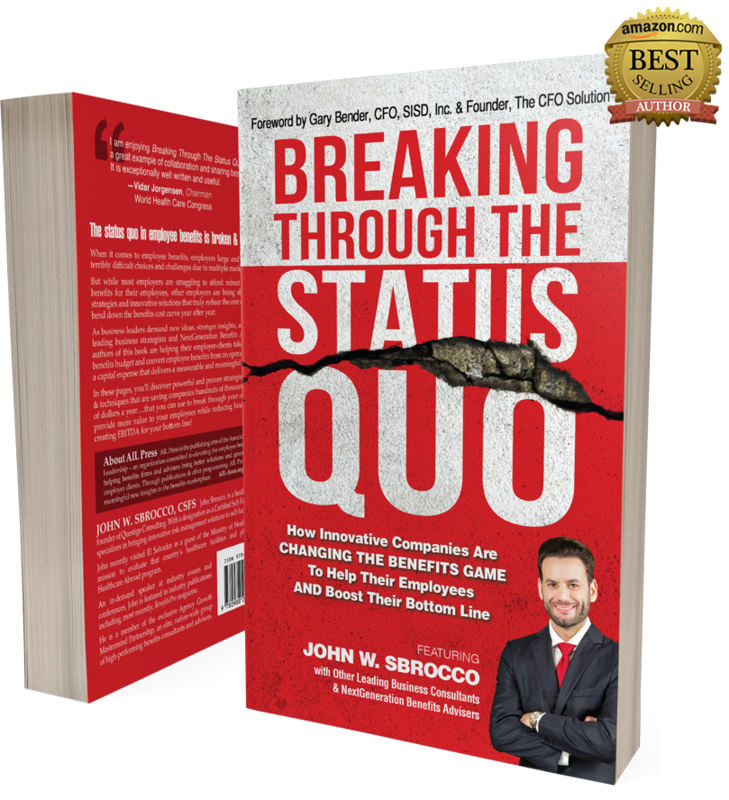 Order John W. Sbrocco’s book, Breaking Through the Status Quo, today to receive a complimentary copy shipped directly to your home or office. As an author, John puts many of his most effective practices onto paper. Not afraid to give away trade secrets, John feels sharing his innovative strategies will ultimately aid in his cause of Breaking Through the Status Quo of the current state of employee benefits. John biggest goal is to put the consumerism back into insurance by showing employers that they have alternative options to choose from rather than just continuing to accept drastic renewal increases for lower quality insurance. Where should we mail your copy?